Xiao, D, & Yu, Y. (2018). 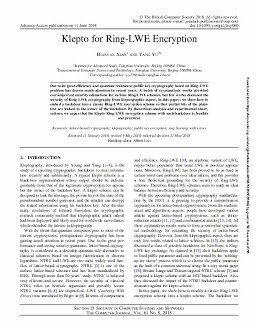 Klepto for Ring-LWE encryption. Computer Journal, 61(8), 1228–1239.